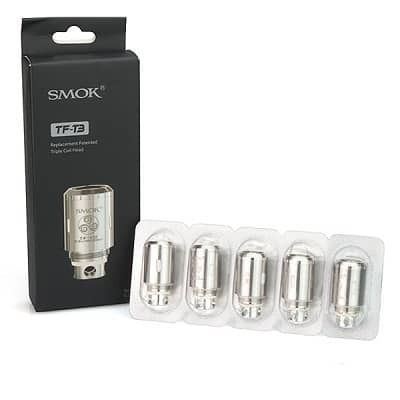 Authentic SMOK 0.20 ohm Replacement Coil Heads (5-Pack) that fit the Smok TFV4 Tank. 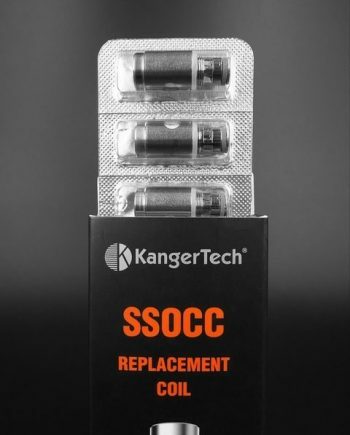 Three Individual coil heads! 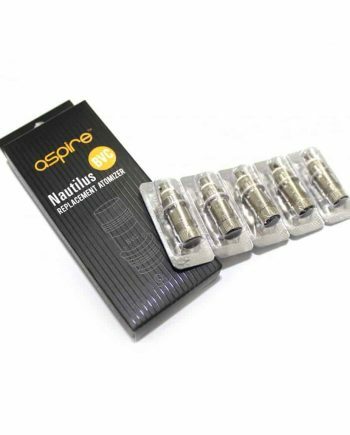 Made with high quality Kanthal wire and 100% Organic Japanese Cotton wicking material. 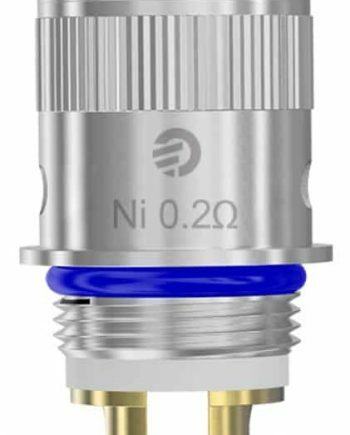 These low sub-ohm coils have a resistance of 0.20 ohm. 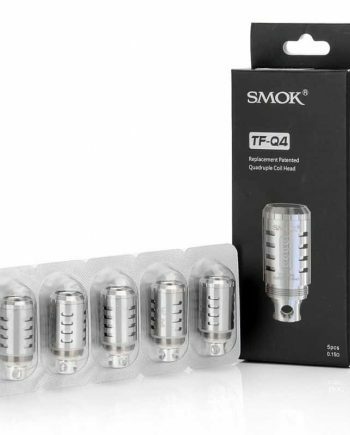 With more surface area, these TF-T3 coils produce pure flavour, but are also juice guzzlers, so make sure you have lots of liquid! 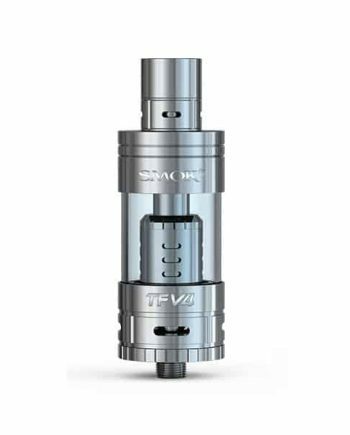 Performs best at higher wattages with Max VG juice! 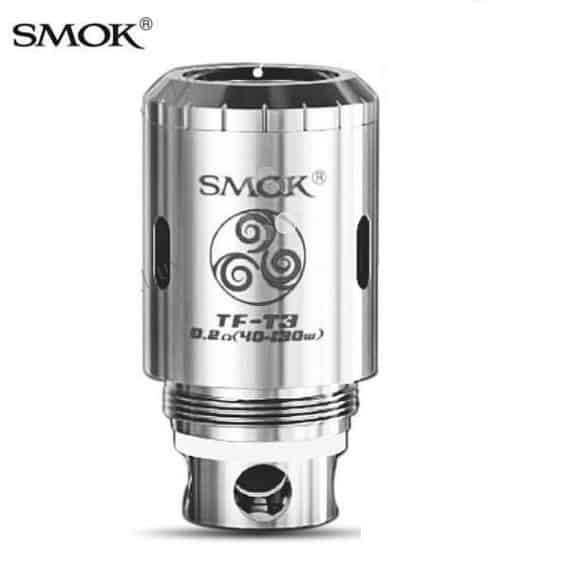 Large variable wattage range of 40W to 130w.